Nestled in a volcano crater 26 kilometers (16 miles) south of Rome is a beautiful and placid lake called Nemi. Surrounded by a forest of trees, Lake Nemi was known by the ancient Romans as Diana's Mirror. When the moon is full, the shimmering surface of Nemi reflects brightly and beautifully the full moon. Diana, according to the ancient Romans (8th century BC) was the goddess of the Moon, wild beasts, and of the woods. The Romans believed Diana inhabited the forests around Nemi. They built the sacred Temple of Diana, called Diana Nemorensis, or Diana in Nemi's Woods, on the northern shore of Lake Nemi. Ruins of that Temple at Lake Nemi can still be seen today, but few people make the trip to see it, and fewer still understand the significance of what they see. Some of the most fascinating and colorful stories of ancient Rome occur in and around Lake Nemi. That's right, in Lake Nemi. Visiting Lake Nemi should be on your bucket list. If you ever travel to tour Rome, take a day trip to visit Lake Nemi, or better yet, stay at the city you see perched on the top of the hill in the above photo. That city, the modern city of Nemi, is only a quick train ride from Rome. Events that have occurred over the past three millennia around the lake and in the lake are stunning in scope. Before I show you the importance of Lake Nemi, let me give you some context. The Roman goddess Diana is the counterpart to the Greek goddess Artemis. I have written about Artemis and how much the Greeks believed in her powers. The Romans revered Diana as the Greeks revered Artemis. The two goddesses are often conflated. If you know your ancient history, you're aware that the Republic of Rome eventually replaced the Grecian Empire as the ancient world's superpower. In 146 BC, Rome defeated the Greeks at the Battle of Corinth and made Greece a Roman province. After the death of the Roman Republic dictator Julius Caesar, Julius Caesar's nephew and adopted son Julius Caesar Octavianus (63 BC-AD 14) became the first officially recognized Emporer of Rome and received the title Augustus. The reason Jesus grew up speaking Hebrew and Greek and not Hebrew and Latin is that the Roman world in which Jesus lived kept the culture of the Greek Empire (the language, the arts, the religion, etc.). Keeping Greek customs in a Roman-ruled world is called Hellenization. It's no wonder that the Roman goddess Diana and the Greek goddess Artemis are often conflated. However, the worship of the Roman goddess Diana and the worship of the Greek goddess Artemis had origins that extend to a much earlier time than the days of Jesus and the Apostle Paul. For example, The Temple of Artemis (the Greek goddess) was considered one of the Seven Wonders of the Ancient World, It was built in the ancient city of Ephesus (now a city in modern Turkey) in 550 BC by the wealthy King Croesus of Lydia. Croesus was a friend to the Greeks and a worshipper of the Greek god Apollo. King Croesus once traveled to Delphi, Greece (just north of Athens) to inquire of the Pythian Oracle at Apollo's Temple. In appreciation for Apollo, King Croesus desired to build a monument to Apollo's twin sister, the goddess Artemis. So Croesus built the Temple of Artemis in Ephesus. The famous stories surrounding the ancient Temple of Artemis at Ephesus are abundant. Any understanding of the biblical book of Ephesians requires some grasp of the culture of that city since Paul wrote to encourage followers of Jesu who lived among a people dominated by Artemis worship. 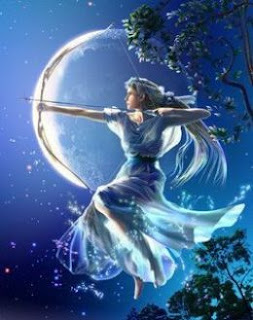 When the Romans heard in the late 6th century that a new Temple had been built to the Greek goddess of the Moon, hunt, and woods (Artemis), they decided they would build a Temple of Diana in Rome. So King Servius Tullius of Rome (575-535 BC) ordered that this new Temple of Diana be built on Aventine Hill. Servius also built a wall around the Temple bringing it within the boundaries of the city of Rome. The Romans could never let the Greeks get the upper hand. This 6th century BC Roman Temple of Diana stood until the barbarians destroyed the city in the 4th century AD and subsequent Roman Christian emperors tore down the pagan temples. Today, if you visit Rome, there is a short street named the Via del Tempio di Diana which commemorates the site of the ancient Temple of Diana. Part of the Temple's original wall is located within one of the halls of the Apuleius Restaurant (it's worth a lunch visit). Before the Temple of Artemis was built by King Croesus in Ephesus (550 BC) and before the Temple of Diana was built by King Servius on Aventine Hill in Rome (est. 545 BC), there existed a Temple of Diana in the sacred grove of trees on the northern shore of Lake Nemi. It was called Diana Nemorensis. Diana Nemorensis, which means, "Diana in the Woods of Nemi" was a small, secluded, and sacred shrine. It predates the Temples the Romans built, evidenced by the fact "Diana in the Woods of Nemi" refers to a sacred grove of trees. Ancient worship of the gods took place in forests and groves, called a Lucus in Latin. When in Rome, do as the Romans. Go to Lake Nemi, or otherwise known as Lucus Nemi. For over eight centuries, from the founding of Rome (753 BC) to the days of Empeoror Caligula, bizarre rituals occurred on the northern shore of Lake Nemi. Romans would make their way to the sacred grove to appeal to Dianna for conquests in combat, harvests in the hunt, and fertility in the fields. The Roman poet Virgil (b. 70 BC) writes about Aeneas discovering the golden bough in the lucus of Nemi. Aeneas breaks off the golden branch from the sacred tree, giving to him access to, and power over, the underworld (Hades). In a merging of Roman mythology and history, Aeneas' discovery of the sacred tree is the reason for Diana Nemorensis being deemed a sacred place of worship shortly after the founding of Rome (753 BC). When King Servius built the Temple of Diana in the city of Rome (est. 545), Romans had already been worshiping Diana in the forests around Lake Nemi for nearly 200 hundred years. The rituals the Romans performed at Lake Nemi involved fertility rites in the woods, requesting fertility in their fields, animal sacrifices to Diana from hunters who seeking blessings on their hunts, and a host of other religious rituals for the purpose of invoking blessings on the people of Rome. But of all the rituals involved with worship at the Temple Diana Nemorensis, the most famous of them all involved the King of the Woods (Rex Nemorensis). The King of the Woods served as the High Priest of the Temple of Diana. He was the only male among many females associated with Diana worship at Diana Nemorensis. In the center of the grove of trees on the northern shore of Lake Nemi stood that large, sacred tree that contained the golden branches to the underworld. It was absolutely forbidden for anyone to break off a branch or bough (pronounced bow) of the tree. For once a branch was broken, he who broke it had declared his intention to fight the King of the Woods to death to become the next King of the Woods and the next High Priest of Temple Diana Nemorensis. Some men wanted that job because of the fertility rituals which they involved themselves in with the priestesses of Diana's Temple and the power it gave them over the underworld. The King of the Woods (Rex Nemorensis) was mystically married to the goddess Diana. The rituals he partook in at Temple Nemorensis with the priestesses of Diana were sexual, symbolic, and sacred. The King had the power to restrain the underworld and invoke the blessings of the gods. But the King never died of old age. He would die a violent death, to only be resurrected to new life in the form of another deified King (the one who defeated the previous King) and continue the sacred rites in Diana's Temple. The violent death ritual of the King on the northern shore of Lake Nemi is mentioned in ancient literature by Strabo (b. 63 BC), where Strabo calls it "sacred to antique religion." 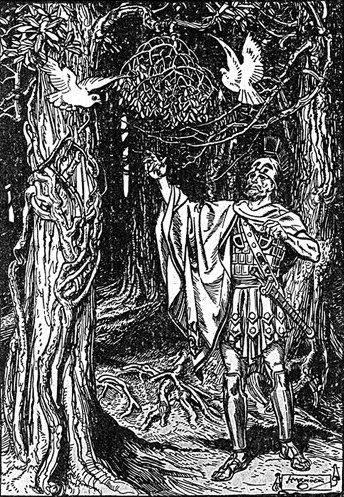 Strabo adds that the King of the Woods "holds his reign by strong hands and fleet feet, and dies according to the example he set himself" (Strabo, Geographia V, 3, 12). It was said by the ancient Romans that worshipers of Diana entering the sacred grove at Nemi would often see the King of the Woods, sword drawn, protecting the boughs of the sacred tree from any interlopers. 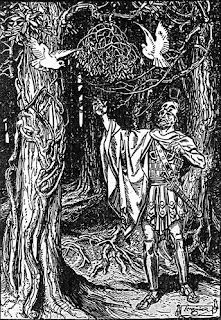 The King, having himself once crossed the sacred line and broken the golden bough, was constantly vigilant for the one who would come to break the branch and seek to slay him. Legend says the King of the Woods of Nemi often appeared wild-eyed, frantic, and restless, knowing that by death he entered his position as King, and by death, he would exit it. The King of the Woods ritual was put to verse by British historian Thomas Macaulay. And shall himself be slain. Even during the time of the Roman Emperor Caligula (12 AD - 41 AD), the ritual slaying of the King of the Woods in the Sacred Grove at Nemi was in effect. Caligula himself sent a slave into the woods to "break the bough" and fight the High Priest of Diana, a battle which Caligula's slave won. Caligula, a devout worshipper of Diana and her rites of fertility, built two huge massive and luxurious "pleasure barges" for himself on Lake Nemi. They were palaces of sexual rituals with women, even the wives of his soldiers and Rome's politicians. 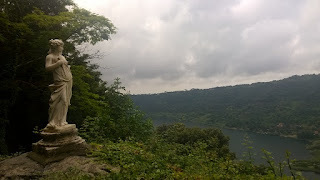 Lake Nemi held a special fondness in the most profane emperor in the history of Rome. 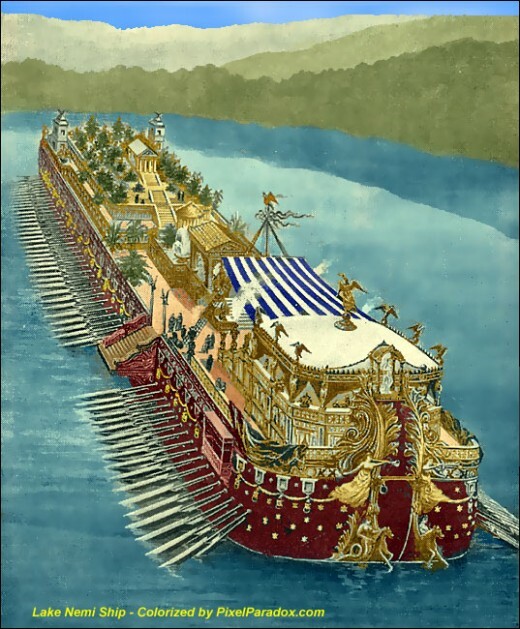 Caligula's barges on Nemi were deliberately sunk after his assassination in 44 BC. For centuries there were rumors of huge structures at the bottom of Lake Nemi. 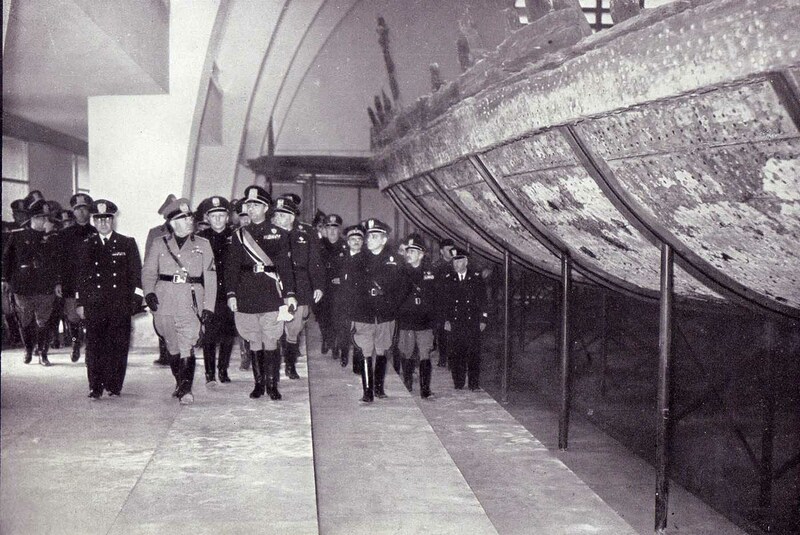 Italian fascist dictator Benito Mussolini, fashioned himself a new Emporer of Rome. Mussolini drained Lake Nemi and had Caligula's barges brought to the surface and the ancient artifacts cleaned and displayed in a museum. During World War II, the museum at Nemi was destroyed, but one of the mosaics that decorated of Caligula's Pleasure Boats eventually wound up serving as a coffee table in New York City. When you go to the new and rebuilt Italian museum on the north shore of Lake Nemi, you can read about the history surrounding the lake. 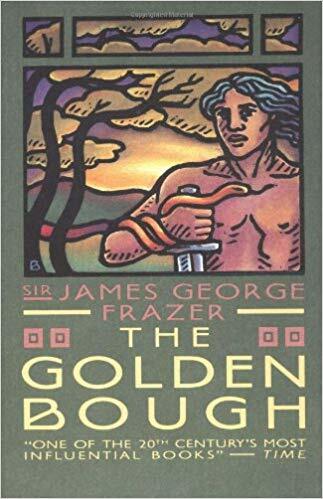 In the 1890s, half a century before Mussolini found and dug up Caligula's barges at Lake Nemi, Sir James George Frazer, a British anthropologist, wrote his seminal work The Golden Bough: A Study in Comparative Religions. Sir Frazer based the thesis of his book on the rituals that occurred on the northern shore of Lake Nemi at Diana Nemorensis. Sir Frazer traces the common elements of the worlds religions, including fertility rites, human sacrifice, the dying god, the scapegoat, and many other symbols and practices whose influences have extended to modern day to Lake Nemi. Frazer's thesis is that ancient religions were basic fertility cults that revolved around the worship and periodic sacrifice of a sacred king (the King of the Woods at the Temple of Diana). Frazer believes that mankind evolves from rudimentary animism or belief in magic, to a belief in personified deities of religion, and finally to modern scientific thought. In other words, to Sir Frazer, the rituals of the Temple of Diana at Lake Nemi are a glimpse into the evolution of man by examining an ancient ritual that endured even into the classical age of western civilization. The barbaric King of the Woods ritual at Lake Nemi and other ancient sacred rituals continued at Lake Nemi long into civilized times (the Roman Empire) because Lake Nemi was especially secluded and especially sacred. The Temple of Diana at Nemi, for the sake of illustration, would be like your great-grandmother's China. Don't touch it. Be careful with it. Don't give it away. The Romans treated Lake Nemi in the same manner. It was a sacred place for them. 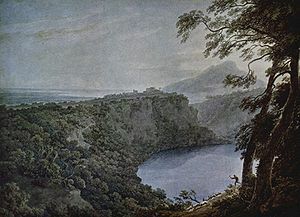 At Lake Nemi, according to Sir Frazer, we see the basis for belief in dying and reviving god (eg., King of the Woods), a solar deity who undergoes a mystic marriage to a goddess of the Earth (the King was married to Diana, queen of the earth's harvest, and the Moon of the skies). Frazer claims that this legend of rebirth is central to almost all of the world's mythologies. The Golden Bough scandalized the British public when first published, as it included the Christian story of Jesus and the Resurrection in its comparative study. Christians were furious that the Lamb of God was treated by Frazer as a relic of pagan religion. 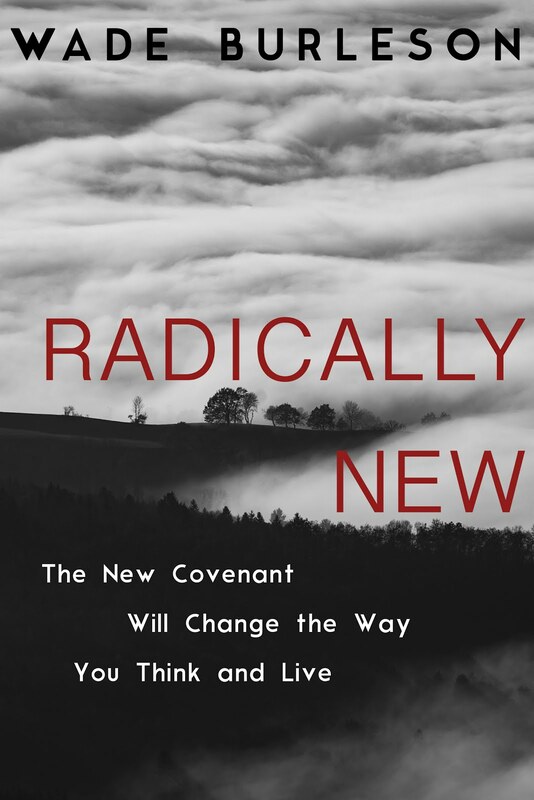 Frazer called Christianity "merely a perpetuation of primitive myth-ritualism," and he wrote that the New Testament Gospels were "just further myths of the death and resurrection of the king who embodies the god of vegetation." Due to the enormous backlash, Frazer excluded his discussion of Christianity in subsequent volumes. People who study comparative religions all believe that religions around the world share common teachings and beliefs. For example, flood stories are found throughout the world, among all cultures and religions. Death and resurrection, afterlife, and the sacredness of fertility in field and homes are also common themes. Either this world is evolving from pagan beliefs in animism, magic, and religion to scientific thought, or as the great Sir Isaac Newton believed, this world is devolving in intellect and moving from true religion to a corruption of the Divine truth. Many years ago I read Sir Isaac Newton's The Chronology of Ancient Kingdoms Amended, and I became convinced that the history of the world's religions is best understood by seeing every religion, both ancient and modern, as a corruption of Divine Revelation. 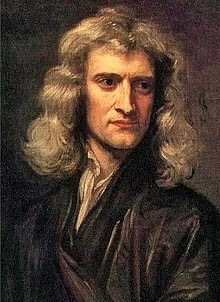 Newton is even clearer in his superb work The Original of Religions, where he shows that a loving Creator gave true religion to His creation in the form of Divine revelation, and all other religions are a corruption of the Divine through a fall into idolatry. In other words, Greece and Rome corrupted the Divine revelation of God and began to worship the creation. A sword to protect it. Mankind fails and falls into death. Through thorns and thistles, the earth gives fruit. Through mankind's corruption, idolatry flourishes. By blood, a new Kingdom shall rise. "For God so loved the world, that He gave His only begotten Son, that whosoever trusts in Him should not perish, but have life everlasting" (John 3:16). I could go on and on, but my point is that you must either believe mankind is evolving from pagan beliefs or that mankind is devolving from Divine Revelation into pagan beliefs. I, like Isaac Newton, hold to the latter belief. And I look forward to seeing Lake Nemi where the former found its birth. Until then, I am quite comfortable with the belief that the ancient Greeks and Romans fell into the practice of idolatry because their forefathers had corrupted the Truth of the one true God which was passed down to the nations through the children of Noah. The nations, including Greece and Rome, eventually fell into the practice of worshiping the creation rather than the Creator. Excellent presentation of history. You can tell you have spent many hours studying and you make very valid points, as always. But could God not reverse the decline? 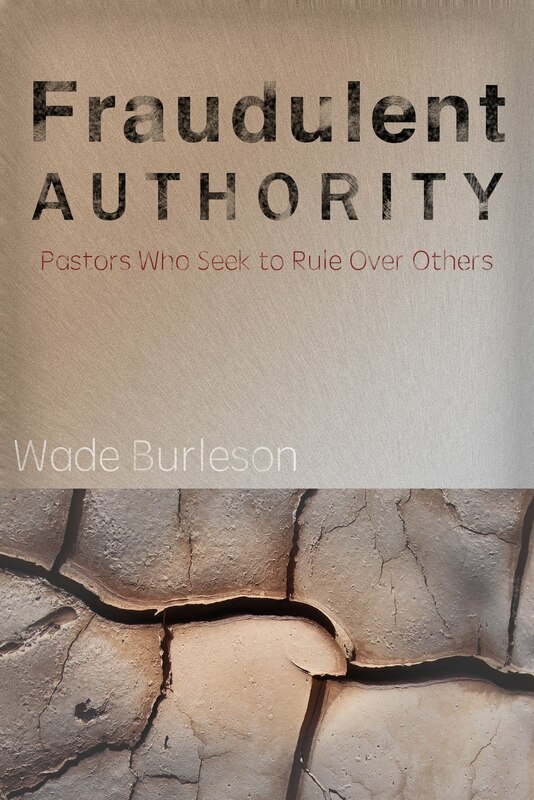 Sometimes it seems as though the church (not necessarily Emmanuel) has "given up" on any hope of another Great Awakening, believing that the world has crossed the line for redemption. We ride and survive, praying for the return of Christ, yet failing to consider that the Holy Spirit could awaken us all. Many times in history, even as the time presented in this post, the world has strayed into deep rebellion against the Creator. Yet many times in history, we see the Grace of God pour out His Spirit and revive the masses. There is no doubt that we a swiftly drifting into the worship of the creation. (Green New Deal) But I would lean more towards the hope of revival than the destruction of man. I, too, believe in a great revival and reformation of the earth. However, I only see it coming through the freedom that the Gospel brings mankind, the freedom to love and to serve one another, even as the Creator has loved and served us (by sending us His Son). I also happen to believe this Good News eventually reverses the curse of devolution (and see it happening). I just credit the grace of God, not the mind of man. "There is no doubt that we a swiftly drifting into the worship of the creation. (Green New Deal)"
There's been doubt about the abuse of Creation at the hands of greedy destructive men for generations. But to co-opt greed and abuse of the environment as 'pleasing to God' seems worse somehow even than the lack of compassion for one's children and grandchildren as the Earth continues to heat up and living conditions worsen. . . . and what for? Money? Wealth? Political power? We are the first generation to feel the effects dramatically. But the children and grandchildren . . . they will know a different life and wonder 'why' we did this to them and lied to ourselves that it was 'okay' for religious reasons to continue abusing God's Creation . . . the young will be the ones to suffer, and our selfishness is the reason for it. Something evil about calling those who want to preserve the environment 'pagan worshipers', when it's really those who worship money and power who are doing the labeling.
" TO HARM THE EARTH IS TO HEAP CONTEMPT ON ITS CREATOR"
Sounds like the old Indian didn’t know Jesus; too bad. The world reveals the mystery of God who created and sustains it. If the relationship with God is placed aside, nature is stripped of its profound meaning and impoverished. The world presents itself before man's eyes as evidence of God, the place where His creative, providential and redemptive power unfolds. and the breath of all mankind." Yesterday, a substitute Sunday School teacher had been told by our teacher if he ran out of something to discuss, the substitute could always fill in time if he asked something about hunting, fishing, or JFK. Laughter exploded when our class heard that because they knew who we were. At 87, my bucket list is getting pretty old to change a Dallas, Texas freeway from LBJ to JFK. I sure do need some help. Oh sure, I’ve heard ‘For the good of the country…’, but Jesus said the truth will set us free. Judy was trying to shoo a bird out of the garage. She picked up a large fish-dip-net to scare it, but the bird ran into the net and got tangled. She brought it in the house. I had to hold the bird in a different position to keep it from picking my hand. I guess it thought if it was leaving this world, it was going out fighting. After a while, we gave up in trying to get it untangled and got the scissors. After cutting the net, it was free. I thought I’d release the bird outside, but it had a death grip on the net. I pulled so hard I thought its leg might come off. I gave up, took both outside and let go of the bird. Instantly, it disappeared into freedom. I thought that may be why I resisted Jesus so many times because I had a grip on what I wanted to do. I can always count on you to come up with good stories. The bird was lucky to have the two of you to help it out, but it sounded like a free-for-all there for a while. Glad all turned out well. 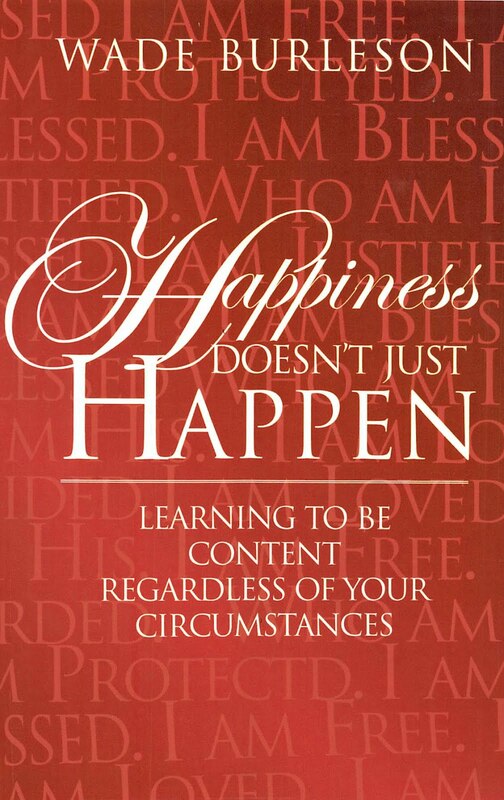 Your comments are joy, thoughtful, wisdom, and consoling. You are an example when children get hurt they run to their mothers instead of their fathers. I was attracted to these photos because I’d heard that a motorcycle policeman saw LBJ ducking down BEFORE the first shot was fired. It’s a fact, loud noises scare people; especially gunshots, but these photos show people on the sidewalk smiling and even the wife of LBJ is smiling. These photos from a movie have been ‘doctored’ a lot to show LBJ sitting UPRIGHT and then he’s GONE (he HAS ducked down because he knows people will be shooting at JFK who are in front of him (LBJ) and behind him (LBJ). The smiles are important because ‘lovers’ of LBJ claim he was pushed down by an FBI guy riding in the front seat AFTER shots were fired. Rex: As the decades come and go, hard copy evidence, and first hand witnesses, fade from our minds and our view. But technology increases, and imagination and speculation flourish. So it is to be expected that all sort of theories would emerge. I think such is the case with this one. I think if you ever read the book “LBJ and the Kennedy Killing by James Tague, you might believe there was a conspiracy. Three months after his book was printed, I went to his funeral on October 20, 2014. Since three bullet shells were found in the ‘sniper’s window, the Warren Commission had to invent “the magic bullet” because Tague was wounded by a stray bullet when Kennedy was killed. There was something strange about one of these three shells. One shell was not round but had somewhat of a flat side, but the strangest was there was no dent in the end that would be made by the firing pin as the Department of Public Safety records show: “Two spent rounds and one live round.” That means the lead and powder were removed without the bullet being fired. Probable one hand held pliers pulled the lead out while other pliers held the shell which would explain how the shell had a flat spot. Page 406-409 of Tague’s book tells the Warren Commission had unidentified fingerprints on a box in the ‘sniper’s window’. In 1998 those prints identified Malcolm Wallace. Wallace had taught at four Universities and had been in the Marines. While teaching at Texas University, he was introduced to LBJ who got him a job in the U.S. Agriculture in Texas. Long story short his wanting more money and bragging he’d killed 17 people for LBJ got himself killed. He was caught on his first murder. The jury’s verdict of death was overruled by the judge giving him a 5-year suspended sentence. Senator LBJ had furnished him a lawyer. LBJ didn’t attend the trial but stayed in a hotel nearby. Bob, there’s a way to prove a conspiracy if the skeleton of JFK’s head was examined mercury would be found because James Files (hit-man for the mob) said he shot him in the head with a mercury bullet. Other bullets were lead. (Mercury is like gold in that it never dissolves.) Files was behind the picket fence that was behind the grassy knoll. Curry was in the car in front of JFK’s car. REX RAY, I think you enjoy these conspiracy theories like 'mysteries' to be solved, and I cannot fault you for enjoying a good mystery, of course. But I will leave the past in the past for now, because as of last night, we in this country have our own mess to worry about. As the news unfolds, I suspect there may be MANY theories and conjectures abounding and it's going to get crazy. I just hope at the end of all this era of divisiveness, we will come to find ourselves to be a unified country again, although my husband thinks we are too old to see it happen, I trust in the strong DNA of our American people to try to do what is right and just in the end. LBJ with an oath in his pocket? Wow. That's weird. Maybe he carried it all the time with him, just in case (?) Ambition and greed lead to all kinds of weird behaviors, and sometimes to very destructive behaviors, I can agree to that possibility. Hope all is well with you both. God Bless! Back to LBJ. Once at a doctor’s waiting room, a woman said her father went to grade school with LBJ and it was a fact you had to watch your lunch to keep him from stealing it. Files said as a ‘hitman’ he always left evidence to those that hired him to prove he had done the job by biting the shell and leaving it. About ten years later, a father and son were looking behind the fence with a metal detector. They dug up a shell that proved to have teeth marks on it. Why would LBJ leave a powerful job of ‘majority leader of the Senate’ to become powerless job as Vice President especially under a President that hated him? That’s the big question and the answer is history. At the funeral, a stranger (Malcolm Wallace) asked Factor about his shooting skills. Wallace got Factor’s address and told him he might have a job for him in the future. A year later, Wallace was pleased with Factor demonstrating how well he could shoot. Without explaining what the job was, Wallace told him in about a year the job would pay $10,000, and gave him $2,000 as a down payment. To this dirt-poor Indian, the money was like a million dollars. “Who was it Loy, who did he want you to kill? As the Indian responded, Mark was shocked. Christiane, I believe his bullet hit the concrete that injured Tague. I forgot to mention that Factor was the dark-skin man that was seen on the sixth floor in the West window.